I love numbers. Anyone who knows me or has coached with me or has played for me knows that I’m always trying to figure out which numbers to use to guide our thinking and performance. If I’m coaching a game, I’m watching the numbers tell me a story. 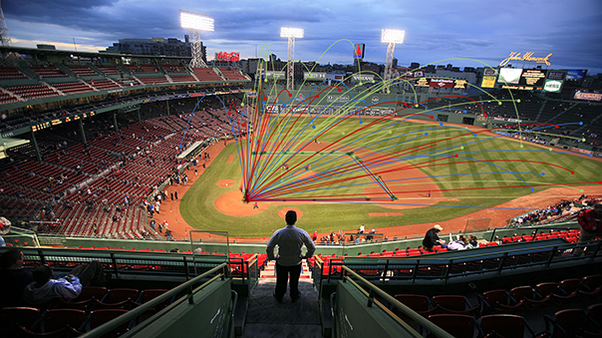 If I’m teaching a hitter, he’s got a sensor on his bat and I’m measuring other external data as well. Without the numbers, I believe I’m uninformed. With the numbers, I feel informed and like a more effective guide for a team or player. I love numbers. I know that both teams playing in the World Series are a step ahead of their competitors in how they use the data as well. That can be said for most, if not all, of the teams in the MLB Postseason. In fact, just this week I met a young man who pitched in the big leagues for two organizations this year. One of the organizations had made the postseason and the other did not. I asked him about the difference between the two organizations. He said it boiled down to the scouting reports and the data. The one who made the postseason was way ahead of the game in using data and giving it to their players, even in the minor leagues. I’m also coming to love (maybe appreciate is a better word) the book of Numbers in the Bible. God instructs the people to take a census and He arranges the people around the tabernacle. God shows an order and He’s in the center. But that’s not the most interesting part of Numbers. That’s in the rebellion of the people in the wilderness. It is in the book of Numbers that the people’s complaining intensifies and they demand to go back to Egypt. We see that God allows His people to obey or disobey, and face the consequences of those choices. In the end, God determines that this generation of people will not enter the promised land but that their children will. God’s grace, mercy, and faithfulness in the face of rebellion is on display through the book of Numbers. We see how God allows us to walk towards him or walk away, and to face the consequences of our choices. It’s free will and sovereignty on display. Having walked into the wilderness for a couple of years now, I can tell you that I’m thankful for God’s grace, mercy, and faithfulness. I continue to pray that we will be proven obedient and worthy to enter whatever promised land He has for us. It is my hope that one day I will look back and love Numbers as much as I love numbers.